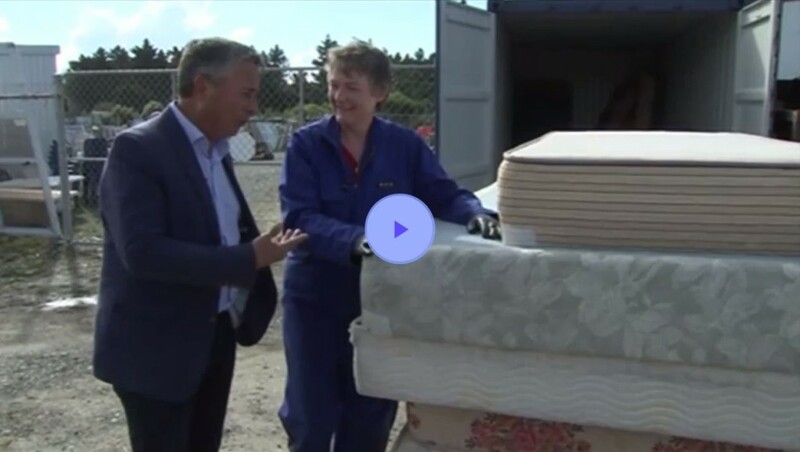 Rebound mattress recycling has been active in Timaru since July as the Timaru District Council runs a 12-month trial, and has picked up some good media attention recently. A news article ran on Stuff.co.nz, and more recently TVNZ current affairs show Seven Sharp did a segment. Seven Sharp reporter Michael Holland interviews Timaru District Council waste minimisation manager Ruth Clarke.